A psychiatrist is a medical doctor who specializes in diagnosing and treating various mental disorders. A psychiatrist's training starts with four years of medical school and is followed by a one year internship and at least three years of specialized training as a psychiatric resident. Upon completion of training, psychiatrists may become certified in their specialty by their governing professional organization, which is the American Board of Psychiatry and Neurology. Approximately 60% of psychiatrists practicing in the United States have this added degree of qualification, as far as successfully completing a rigorous and thorough examination process which further validates their ability to provide quality care in their specialty. As a physician, a psychiatrist is licensed to write prescriptions for psychotropic medications. Depending on potential side effects of these medications or coexisting medical conditions, a psychiatrist may also monitor vital signs and laboratory functions during the course of treatment. Many mental disorders, such as depression, anxiety, ADHD, or bipolar disorder, can be treated effectively with specific medications, and sometimes medication alone is enough to treat the mental illness. However, more often than not, a combination of medication and psychotherapy or counseling is needed. If that is the case, the psychiatrist may provide the psychotherapy, or refer the patient to a qualified counselor in our practice, particularly for specialized or more intensive treatment. 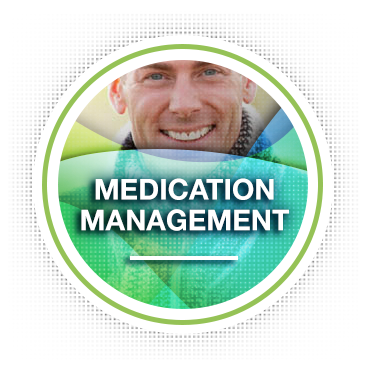 In cases of combination therapy involving medication management and counseling, treatment outcomes are optimized when the psychiatrist is working in close collaboration with the therapist. At Family Solutions Counseling Center, we provide the area with a high standard of care with a collaborative approach in treating individuals, couples and families through counseling and psychiatric services.